Paris is a great city. One of the first foreign cities I ever visited, and the first foreign city I ever visited without my parents present (1997). Paris is one of the few foreign cities I have been to multiple times (3 to be exact, 1997 x2, 2004). This photo is of one of the tributes that my current city has for one of my favorite cities. 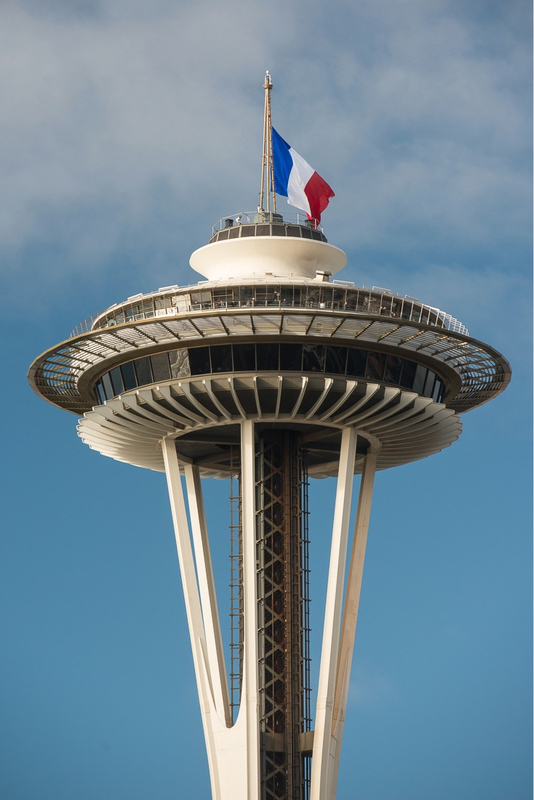 I may live in Seattle, but right now, I’m a Citizen of Paris. I am happy that the city I live in has done this, and I fully support this action. I am aware that other city landmarks have done similar things. This is a good thing. I hope and pray, but do not expect, that this is the last time such a gesture is required.